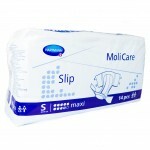 For many years we did very well with the old style plastic backed MoliCare Super Plus. When Hartmann ended that product and replaced with a new textile backed version of it some customers were left wondering what to do. We have some great news for customers that liked the old style of product. It's back and it's called MoliCare Maxi. The packaging had changed and the backsheet is now a light eggshell blue instead of purple, but the nappy is pretty much identical to how it was before. 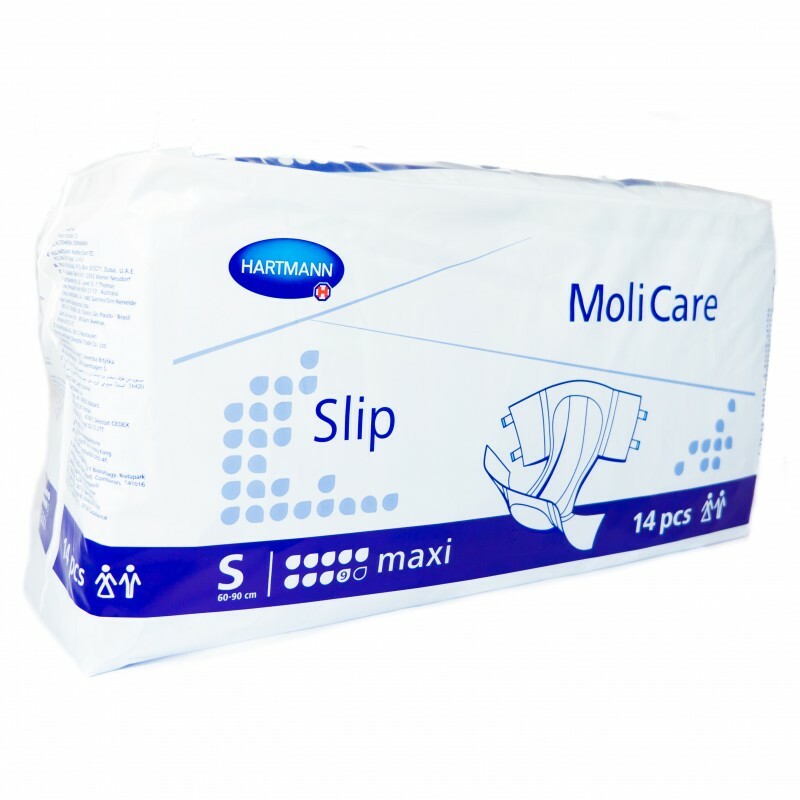 The leg shape, the plastic cover and the very high absorbency level are all the same as they were before. 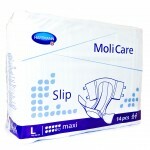 Each pack contains 14 adult nappies. We have excellent bulk discounts available if you buy in cases (4 packs per case). 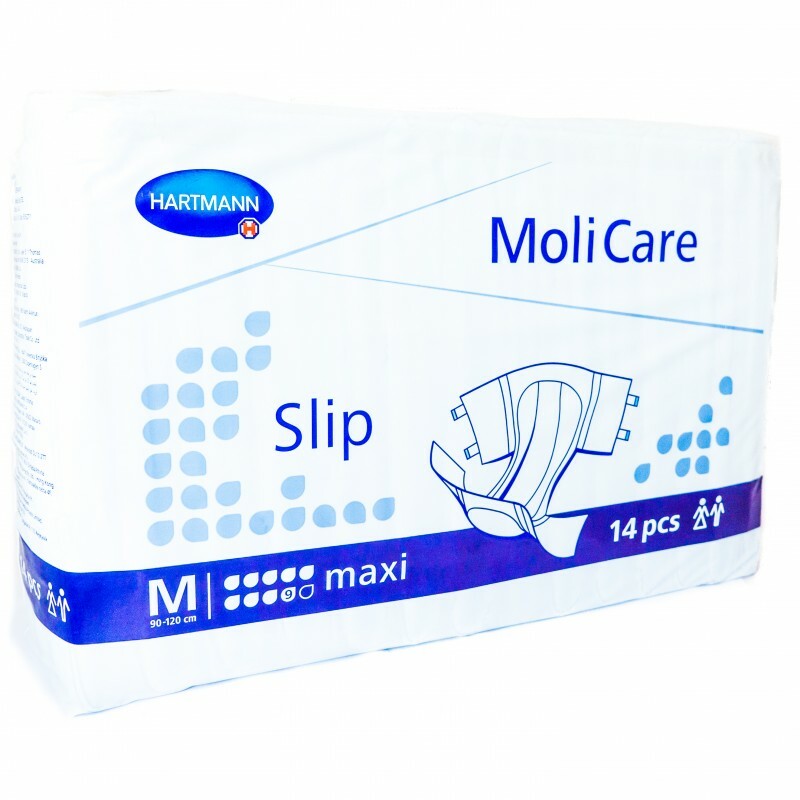 Ideal for absorbing heavy urinary or faecal Incontinence.